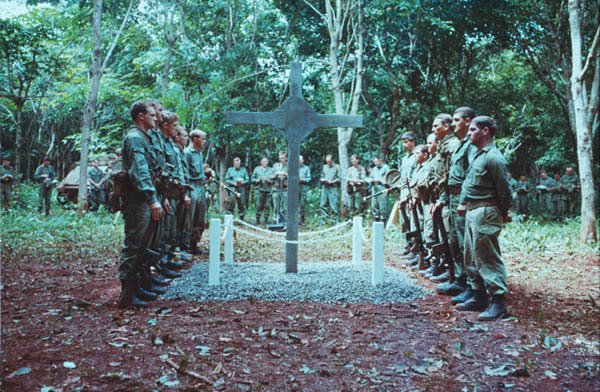 The concept to commemorate the Battle of Long Tan with a memorial cross and a dedication ceremony was decided at a meeting in late 1968 at HQ 6RAR in Lavarack Barracks, Townsville. The meeting involved the commanding officer, Lt Col D M Butler; the second-in command, Major L D Johnson; and the adjutant, Captain M J Harris. The need for this contingency plan had been given impetus by a recent presentation of a United States of America Presidential Unit Citation (Army) to D Company 6RAR by the Australian Prime Minister. This idea was carried to Vietnam with the battalion and was committed to an operational plan at 6RAR-NZ (Anzac) Battalion Headquarters in Nui Dat, Vietnam, in July and August 1969. 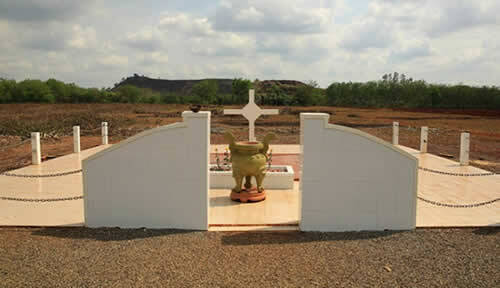 It was executed by the battalion on the third anniversary of the battle as described in the battalion history. 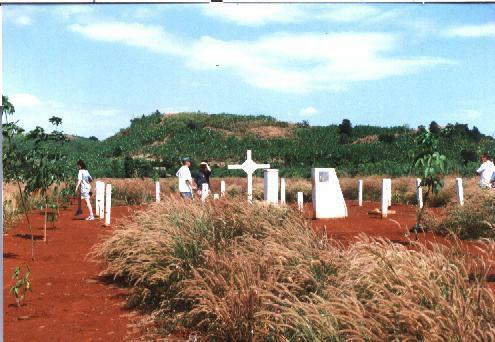 The Cross was designed and constructed by ‘Pioneers’ from the 6RAR-NZ Anzac Battalion’s Assault Pioneer Platoon and the construction work was overseen by Sgt Allan McLean. 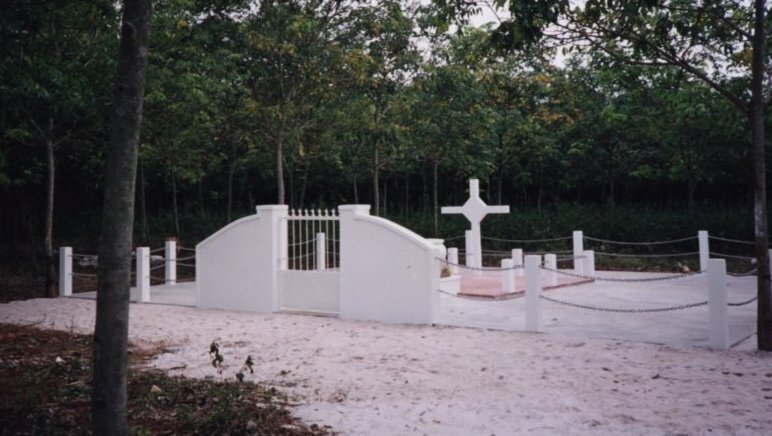 The original Cross was removed, (believed to be by a catholic farmer for his father's grave) sometime after the war in Vietnam ended. 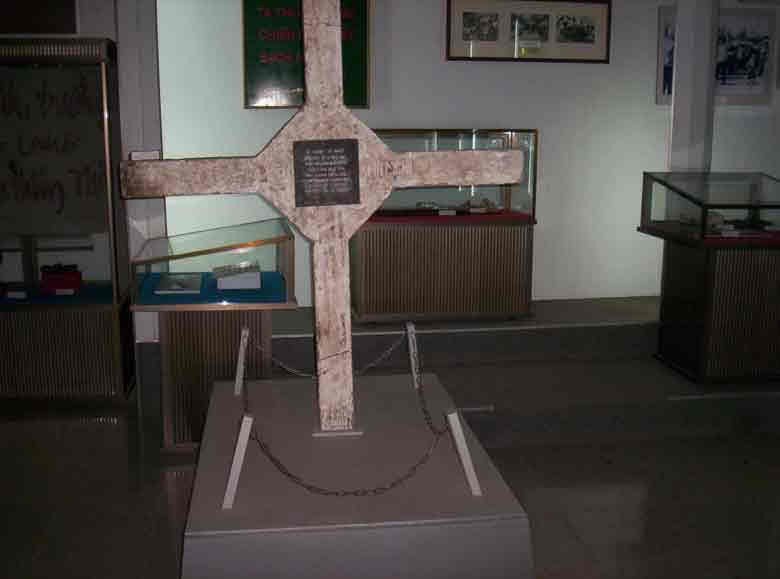 The original Cross was subsequently found by Terry Burstall in 1987 and then was displayed in the Dong Nai Museum until given to Australia and the AWM in 2016/17. "In Memory of those members of D Coy 6 RAR and 3 Tp 1 APC Sqn who gave their lives near this spot during the Battle of Long Tan on 18th August 1966. Erected by 6 RAR/NZ (ANZAC) Bn 18 Aug 69"
During the 80's, the local population around Xa Long Tan constructed a replica of the Long Tan Cross and placed it at the original site. Over the following years the surrounding landscape underwent many changes but the blood red was constant. 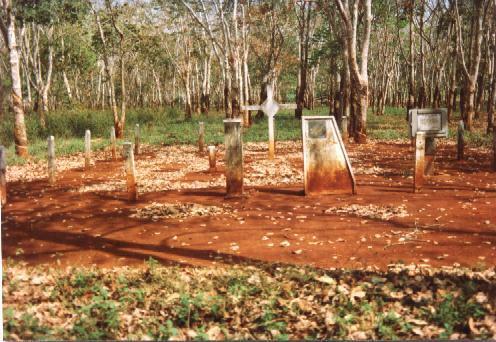 In year 2000 the Immediate Past president of 6 RAR Association, Mr. Graham Smith, established the Long Tan Cross Memorial Fund. 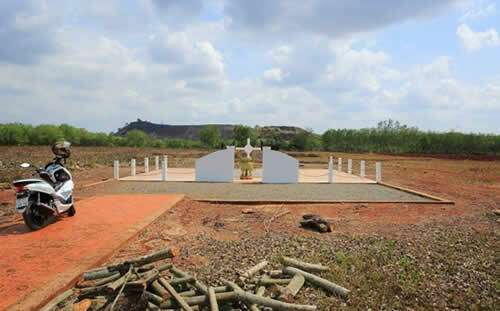 The aim was to raise sufficient money to renovate the Cross, and concurrently, gain official Vietnam Government recognition of its presence and meaning. The Vietnam based committee members of the AVVRG succesfully negotiated with local and Government officials to arrange for the renovations and the sought official recognition. Mr Peter Michelson, a former Vice President of AVVRG, must be commended for his assistance prior to and during negotiations. 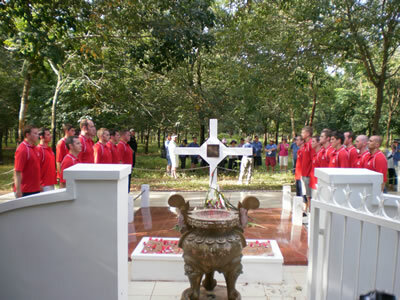 In April 2002 restorations and additions were completed and the Cross was handed over to AVVRG as official custodians. Under care of the AVVRG, with ex-patriate and visiting veterans lending a hand, the Cross is maintained well within a harsh environment. 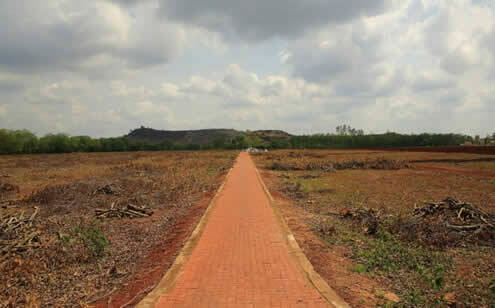 Surrounded by privately owned land, the landscape changed in April 2014. "Our aim is to perpetuate the camaraderie that was generated amongst us when we served." East Timor, Timor Leste, Solomon Islands, Iraq and Afghanistan.